Free plans for a sheltered bird feeder. 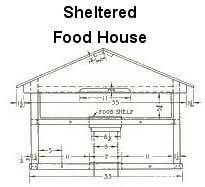 Here is a food shelter or bird feeder that is relatively more difficult to construct. 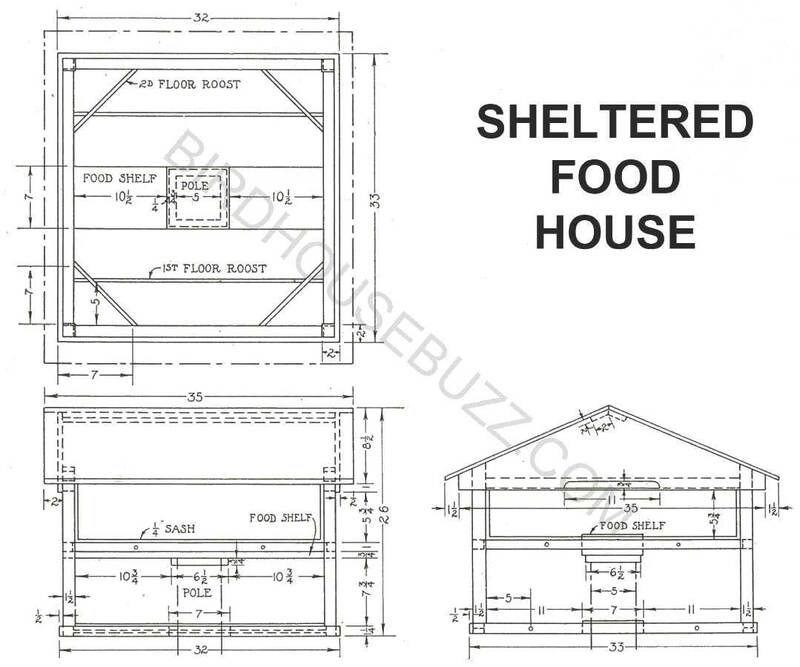 It has a food shelf along with a 1st and 2nd floor roost.